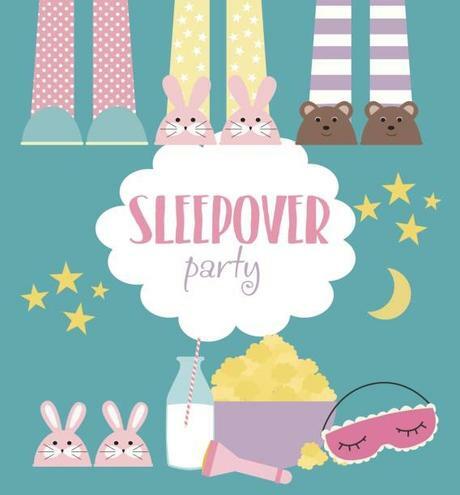 So your kids are getting to that age and they want to have the dreaded sleepover. This is pretty intimidating as you're suddenly responsible for a bunch of other people's children and you know how to parent your child but it's amazing how differently some of the other kids act and are used to being dealt with. But this guide will go through a few pointers to help make the event pass without incident. Things To Check With Other Parents - First thing to do is to make sure you talk to the parents of the other kids, firstly just to ensure you have each others contact details in case of emergencies. Then you should ensure you have any dietary requirements noted down, allergies and intolerances or if there are any vegetarians and vegans in the group or even if there are any things not allowed such as fizzy drinks. But it's good to have the kids all eat together once you have these things organised. Activities During The Day - Although it's a sleepover it's probably true that you will have all of these kids for a bit of the day before and the morning after at least and that means you'll need to arrange for something for them to do which isn't too hard so long as you have a plan as otherwise you may end up with several kids running riot around your home. Feeding The Hungry Monsters - There are a few kids extra tonight, and we aren't used to this many at a time! Not to worry thought there are plenty easy and do-able recipes for large groups of children. Screen Time & Entertainment - One thing that took me aback when hosting the first of these sleepovers was that they all had a portable tablet PC with them! They all sat doing screen time at once at one point in the evening and, to be honest, our broadband was struggling to the extent that I was getting complaints from the husband who couldn't stream the game!, I know! But this lead to us to upgrading the internet connection, which was actually pretty easy using Simply Switch's broadband comparison service to find a good price on a connection with much higher bandwidth and we've not had the same problem ever since. Controlling Lights Out & Bed Time - This is the tricky one as the levels of excitement and nonsense is at an all time maximum compared to any other night of the year! It's going to be difficult as you're trying to get a bunch of kids you don't know to get to bed and to sleep and some of them might be nervous or worried as well as excited, it's going to be an uphill task no matter what. You should allow for a later bedtime as it's going to happen anyway and we always let them camp out in the living room so that they are away from the other kids bedrooms to avoid disruption to them as well. You should still have a set lights out time and follow up with a check and make sure they all know you are in charge. Well good luck, it will be chaotic and noisy but it's only once in a while and as long as no-one gets hurt and they all have a good time it will be a success.